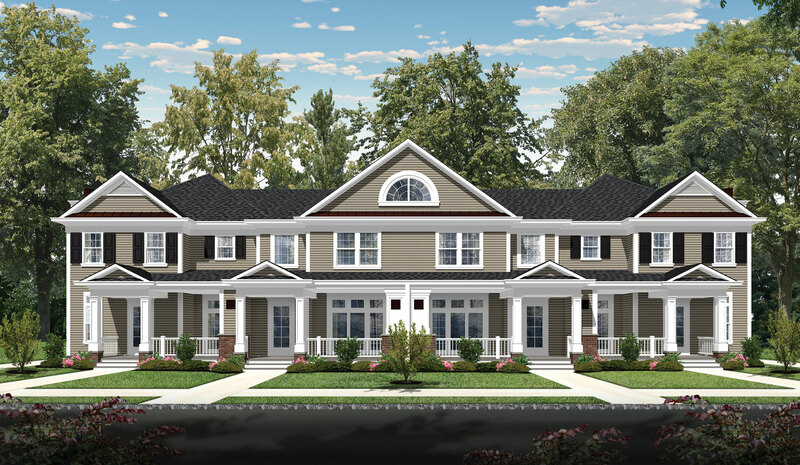 Both the Cranbury and the Trenton are three bedroom, two and one half bath homes totaling approximately 3,100 square feet. Both plans feature a living area consisting of kitchen, dining room, great room, with access to a large covered deck. The entry area includes a powder room, mud room and walk-in closets, appropriately separated from the living area. The ten foot first floor ceilings allow large windows and doors which translates to more light and space. 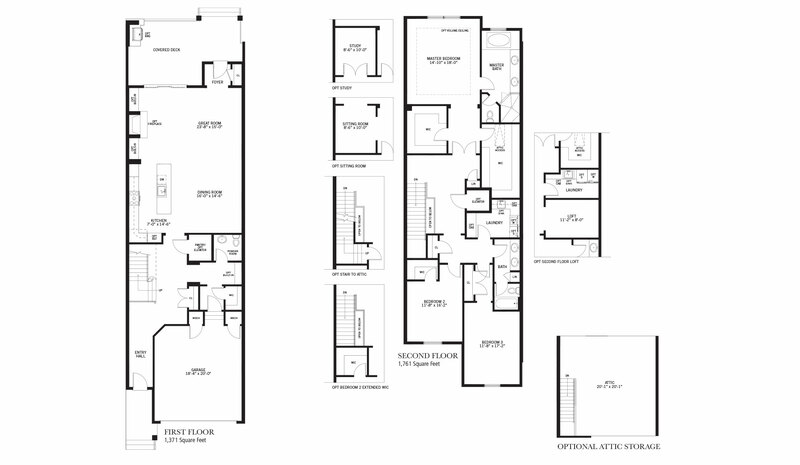 The second floor includes the master suite plus two bedrooms and a laundry room.